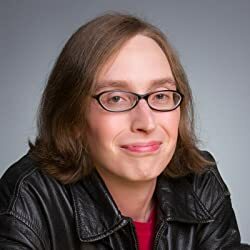 Robyn Bennis is a scientist living in Mountain View, California, where she works in biotech but dreams of airships. She has done research and development involving human gene expression, neural connectomics, cancer diagnostics, rapid flu testing, gene synthesis, genome sequencing, being so preoccupied with whether she could that she never stopped to think if she should, and systems integration. Her apartment is within sight of Hangar One at Moffett Airfield, which was once the West Coast home to one of America’s largest airships, the USS Macon. Click here for more stories by Robyn Bennis. Robyn Bennis’ debut novel, The Guns Above (2017), is a fun blend of flintlock rifles, airships, military exercises, and wry commentary on both gender politics and “military intelligence.” There’s enough whip-smart dialogue to make any reader laugh out loud, and readers who are mechanically inclined will love the detailed descriptions of gears, flight tests, and ballast. 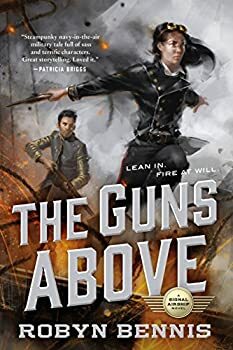 Robyn Bennis’ debut novel The Guns Above introduced readers to Captain Josette Dupre, Lord Bernat Hinkal, and the rest of the crew of the airship Mistral, caught up in a seemingly interminable war in defense of the Garnian empire against their Vinzhalian enemies. 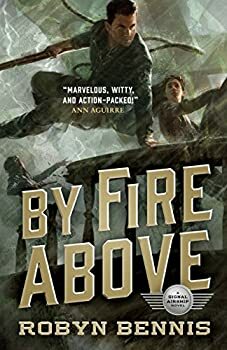 By Fire Above (2018) is the second entry in Bennis’ SIGNAL AIRSHIP series, and it’s just as flint- and steam-powered as the previous novel; while some of the former’s cheekiness has been set aside in favor of gallows humor and dark absurdity in the latter, it’s still as entertaining and compelling as its predecessor. Robyn Bennis’s debut novel is The Guns Above, which blends steampunk, airships, and some of the saltiest dialogue we’ve read so far this year. 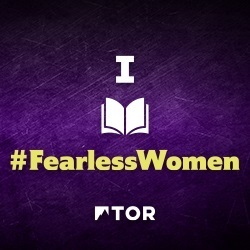 Marion and I agreed that it’s a tremendously fun book, and today Robyn stops by Fantasy Literature to talk about her path to publication and her abiding love of a classic sci-fi television series. We’ve got one copy of The Guns Above to give away to a random commenter, too!